A visit was held on Wednesday 16th March 2016 to the Soldiers of Oxfordshire Museum in Woodstock. The visit was attended by 13 SCLHS members and one guest. 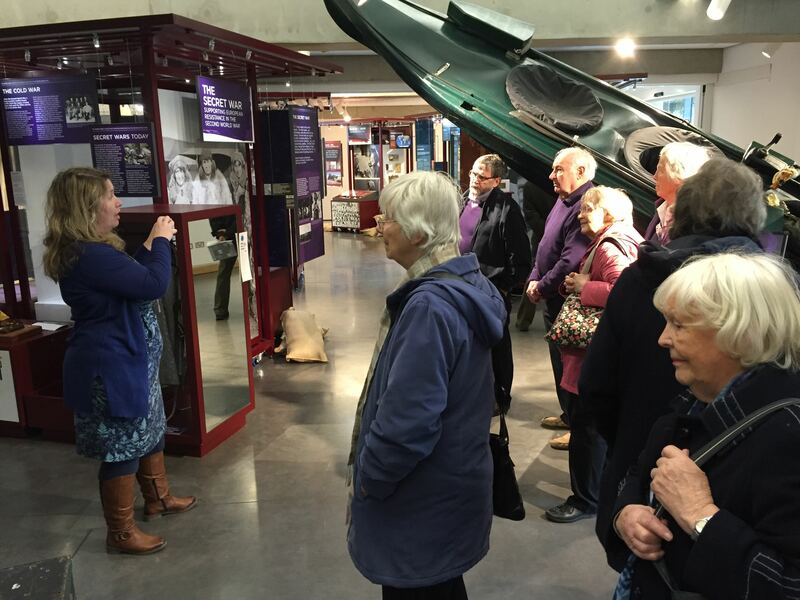 Museum Dirctor, Ursula Corcoran, introducing the collections and exhibition to members. The Above the Dreaming Spires exhibition provided a fascinating insight, through the stories of some of the people involved, into the role played by various sites in Oxfordshire (including the Milton Depot - now Milton Park) in training and supporting the aircrew and aircraft of the First World War.